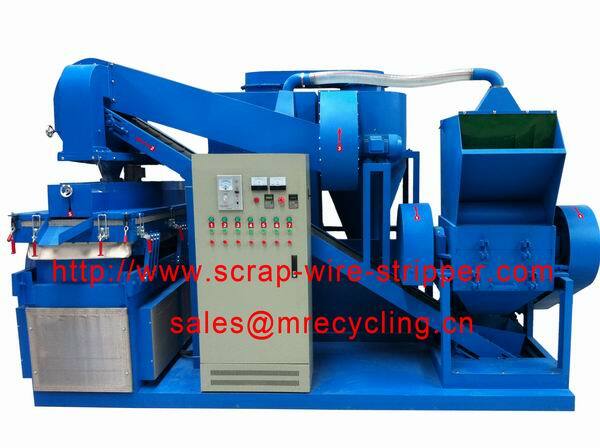 Product categories of Copper Wire Recycling Machine, we are specialized manufacturers from China, Copper Wire Recycling Machine, Wire Recycling Machine suppliers/factory, wholesale high-quality products of Cable Recycling Machine R & D and manufacturing, we have the perfect after-sales service and technical support. Look forward to your cooperation! transforms useless cable scrap into valuable products of high purity, such as copper, aluminium and plastics. Now you can remove the plastic coating from your electrical cable wire with very little effort. the wire stripper can do it safely, economically, and easier than ever before. to a metal recycler is a great way to make some extra money,maximum recycling value.